When you buy a product, you have the reasonable expectation that you will not be injured because of a safety defect. Product designers, manufacturers, and marketers have a legal duty to ensure that all products that they are putting on the market are reasonably safe for consumers. Unfortunately, this does not always occur. In far too many cases, companies put profits over people and they rush unsafe and defective products out onto the market. At Bloch & Chapleau, LLC, our Colorado product liability attorneys have the skills and experience required to hold these companies accountable for their misconduct. If you or a family member has been injured by an unsafe or defective product, we can help you get the full compensation that you rightfully deserve under the law. Please contact a member of our law firm today to get immediate assistance with your legal case. If necessary, take your claim to court by pursuing a defective product lawsuit. 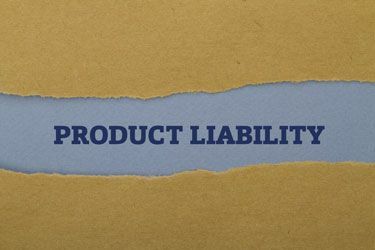 At Bloch & Chapleau, LLC, our Colorado personal injury lawyers have extensive experience handling product liability cases. If you or a family member was injured by a defective product, we can help. For a free claim evaluation, please contact our law firm now. We represent injured victims in Denver and throughout the surrounding communities, including in Adams County, Summit County, Eagle County, and Jefferson County.